Keep up with all things Dukes, right here on brentwooddukes.com. This is where you'll find Brentwood Dukes news, schedule and directions. Come back often and stay up to date. Follow us on Facebook - Don't forget to click that "Like" button! What Time is it.... GAMETIME! Registration will be open thru the month of April. Registration will be online via TeamSnap. Cost will remain $100 for football and Cheer, $60 for flag football (+ online processing fee). TeamSnap will be our primary source of communication going forward, this is where you'll receive Team emails and alerts, scheduled practices, games and special events. You'll also find a team chat, directions, and volunteer opportunities / scheduling. This year were pleased to be offering an in-house flag football program. There will be multiple teams based upon the number of sign-ups. This allows us to insure games every week as your player continues his or her introduction to organized football. All games will be played in Brentwood and an inhouse champion will be crowned after an inhouse tournament. Within 36 months of the date of the most recent clearance; By July 1, 2016 if the clearance is older than 36 months. Report of criminal history from the Pennsylvania State Police; and child abuse history clearance from the department of human services (Child Abuse). Additionally, a fingerprint based federal criminal history (FBI) submitted through the Pennsylvania State Police or it's authorized agent is required if you have lived outside the Commonwealth of Pennsylvania in the last 10 years. 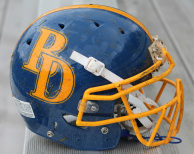 Anyone intrested in coaching for the Brentwood Dukes must obtain PA Act 33 & 34 Clearances. All current coaches must maintain clearances. A copy of the forms are due in to your head coach now. If you intend to coach you must let us know as soon as possible. The Dukes are always looking for pictures, if you have that great gameday picture of your player or cheerleader for the world to see, Send them to: info@brentwooddukes.com, or share to our Facebook Page! It's our players and cheerleaders that make us great!